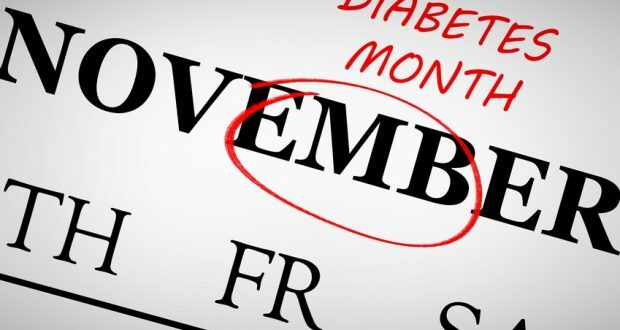 Home / Health / Make The Most of November- It’s National Diabetes Month! 1 in 11 Americans now have diabetes. This disease now affects nearly 30 million men, women, and children of all ages, races, and body types. According to research from the University of Illinois, one person is diagnosed with diabetes in the United States every 23 seconds. “Managing Diabetes-it’s not easy, but it’s worth it!” This is the catchphrase for the month of November, to raise awareness about the diagnosis and treatment of diabetes. The NIDDK is celebrating National Diabetes Month by sharing tips and resources for individuals with diabetes and their loved ones. We’re sharing a few of their tips and resources in this article. When managing diabetes, checking your blood sugar regularly is very important. Being aware of your numbers lets you know how well your diabetes is being managed. As you keep track of your blood sugar, you will notice which foods may raise or lower your sugar levels. This lets you know which foods in your diet are working for your benefit, and which are not. When it comes to how to check your blood sugar, at home you can use a glucometer and test strips. You may also have your A1C level checked by your physician through lab testing. On a daily basis, the most common times to check your blood sugar are: when you first wake up, before a meal, 2 hours after a meal, and before bed. It is also recommended to have your A1C level checked twice a year by your physician. 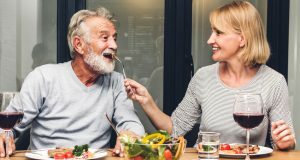 Target blood sugar levels will vary from person to person, but average numbers can range from a blood sugar of 80 to 130 right before a meal, and below 180 at 2 hours after a meal. You should discuss your target blood sugar with your physician to be sure you are on track. Staying physically active is also a crucial part in managing diabetes. An article from Endocrine Web discusses both the short-term and long-term benefits of exercise for individuals with diabetes. In the short-term, your muscles use up excess glucose as you exercise, therefore lowering your blood sugar. In the long-term, exercise can help individuals with Type II diabetes avoid heart problems. Along with the traditional benefits of exercise: lower blood pressure, better sleep, weight management, improved mood, and more energy just to name a few. The NIDDK also emphasizes building a strong network of support. For those who have a loved one that has been diagnosed with diabetes, there are several ways to offer support. Learning about diabetes is a crucial step. Ask your loved one to teach you what he or she knows about diabetes and work together to increase your knowledge. Research diabetes online. Learn all you can from your loved one’s physician and healthcare team. Ask your loved one what you can do to help. Would he or she like you to give a reminder when it’s time to take medications, or when there is a doctor’s appointment coming up? Finding activities to do together is also key. By doing something you both enjoy, you both reap the benefits. For example, would he or she like to take a walk together on Saturday morning? May you help prepare dinner tonight? You could also join a support group with your loved one and share your questions, fears, and experiences with others. It’s important to know that both of you are not alone. Also featured for National Diabetes Month are resources to prevent complications from diabetes. Be sure to speak with your healthcare provider about keeping your heart healthy, how diabetics should take care of their feet, the relationship between diabetes and kidney disease, as well as the potential impact diabetes could have on your sight. 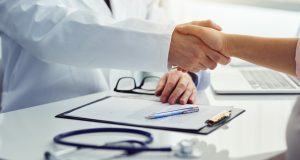 It is important to maintain open communication with your healthcare team to ensure your health is at its best. 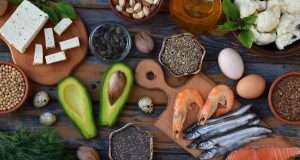 November may be National Diabetes Month, but these wellness tips are great to follow year-round. Next: Can Your Smartphone Be The Key To Better Blood Sugar?